Shark Week is a social media and TV ratings killer. People can't get enough of the Discovery Channel's annual homage to great whites, cage diving and zombie sharks. The week-long event celebrated its 27th birthday on Sunday by luring in a record 3.6 million total viewers. #SharkWeek was also a top trend on Twitter (TWTR). Despite that success, investors aren't biting. Shares of Discovery Communications (DISCA), which owns the Discovery Channel and networks like Animal Planet, have flatlined this week. It's a typical pattern. Shark Week doesn't usually fuel a feeding frenzy among investors. Discovery's stock retreated during Shark Week in three of the last four years. Discovery shares sank 3.4% after 2012's Shark Week. That was actually an improvement from a 6% tumble in 2011. This happened despite ratings being up both those years. The stock did post a 1% gain last year, but that's mild for the market. Related: Is Rupert Murdoch's quest to take over Time Warner over? 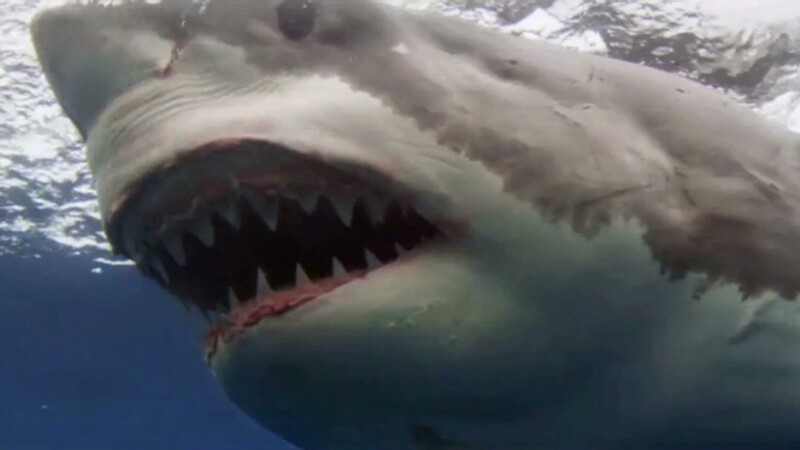 Analysts chalked up the lack of a Shark Week bounce to the fact that Discovery has morphed into a large, global company. Shark Week is just one of many programs televised by the company, which also owns Velocity, Science and has a stake in the Oprah Winfrey Network. "It's just one week. It's predictable. The Street expects the impact that Shark Week will have on advertising," said Alan Gould, an analyst who covers Discovery at Evercore, an investment banking firm. "If Shark Week didn't work one year or had double or triple the ratings, that would have an impact." Shark Week, which Discovery bills as "television's longest running must-see summer TV event," features 13 different shows. Sunday night's launch of Shark Week drew the most number of viewers in the program's history and was the 13th highest rated prime time evening for Discovery ever. Discovery -- like many media companies -- could use all the boost it can get in the difficult U.S. advertising climate. Last month Discovery reported a 2% dip in second-quarter U.S. network revenue, compared with soaring ad sales overseas. The company also dimmed its forecast for the rest of the year. "The second quarter happened to be a pretty darn soft quarter for almost all media advertising except for digital," said Gould. Shark Week has also become a social media phenomenon. The 2013 event generated 2.6 million tweets as well as 15 U.S. trending topics on Twitter, where Shark Week has its own account with 241,000 followers. This year has been more of the same as Shark Week was a trending topic on Facebook (FB) all day on Sunday. But to move the needle for investors, Discovery might to showcase another animal with a dedicated fanbase. Time for #PandaWeek?